Once it comes out of the oven, it looks a little less pretty, but nonetheless the taste is real good. 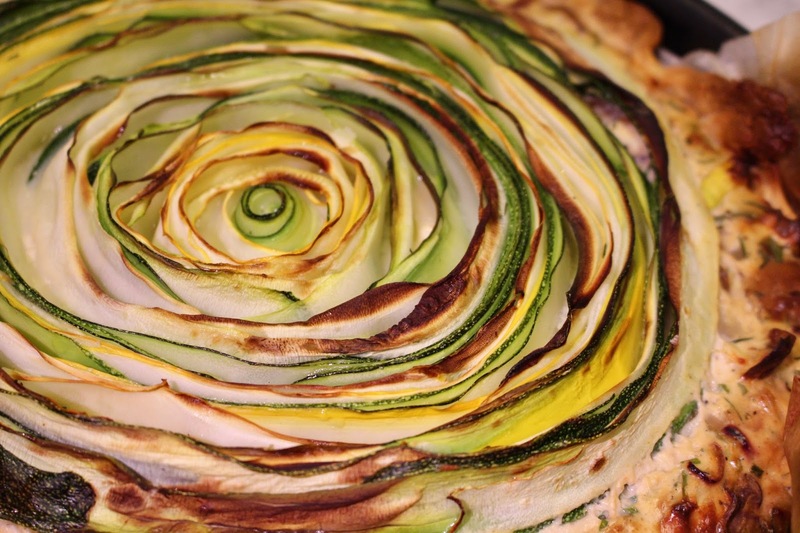 The recipe is loosely based on Georgia's tart, but I used ready-made puff pastry and added some extra vegetables inside the quiche. And I used lots of zucchinis since our vegetable garden is bursting at the moment. 1. Start by preheating the oven to 180 degrees Celsius. Now comes step 1 of the filling. 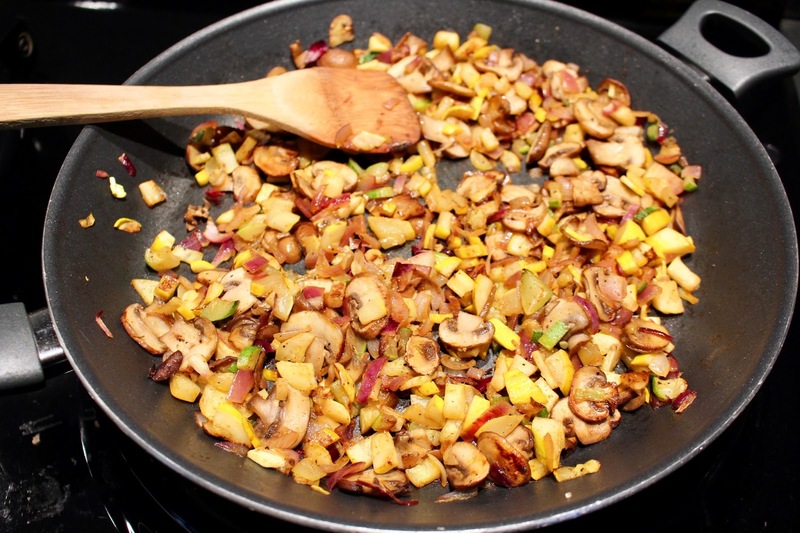 Chop up one zucchini, the onions and slice the mushrooms. Add a bit of oil to a pan and then fry the vegetables with some salt and pepper sprinkled on top. Frying the vegetables beforehand is essential because if you put them in the quiche raw, too much water will come out so the quiche will be soggy, and we don't want that. 3. When the vegetables are nicely fried, turn off the heat. 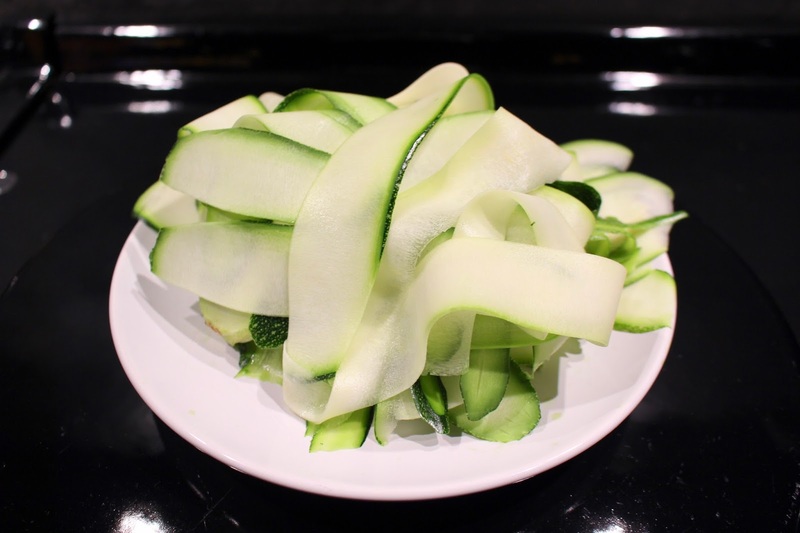 Now take the two other zucchinis and start making zucchini strips by using a mandoline or potato peeler. 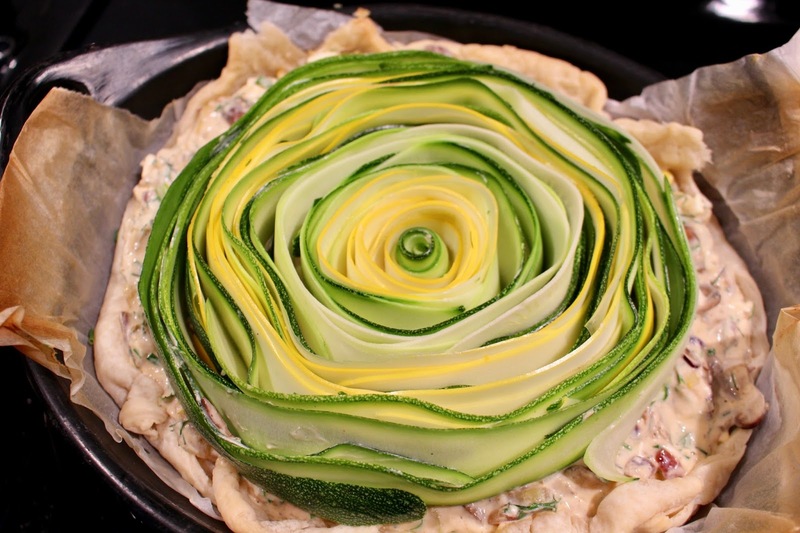 You'll want neat long strips of zucchini. 4. 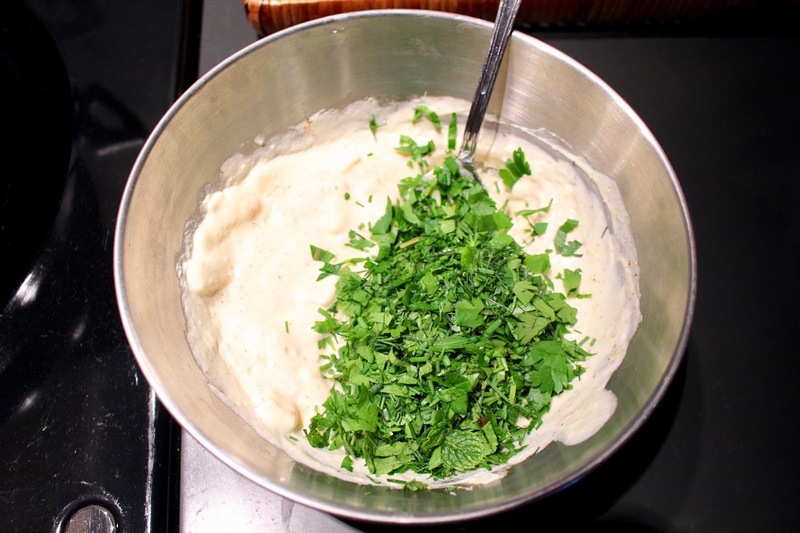 For step 2 of the filling, combine the ricotta, crumbled feta, eggs and chopped up herbs in a bowl. Add the fried vegetables, some nutmeg, pepper, chili flakes and stir well. It's time to assemble the quiche now! 5. Once the base has cooled a bit, put the ricotta mixture in it. 6. 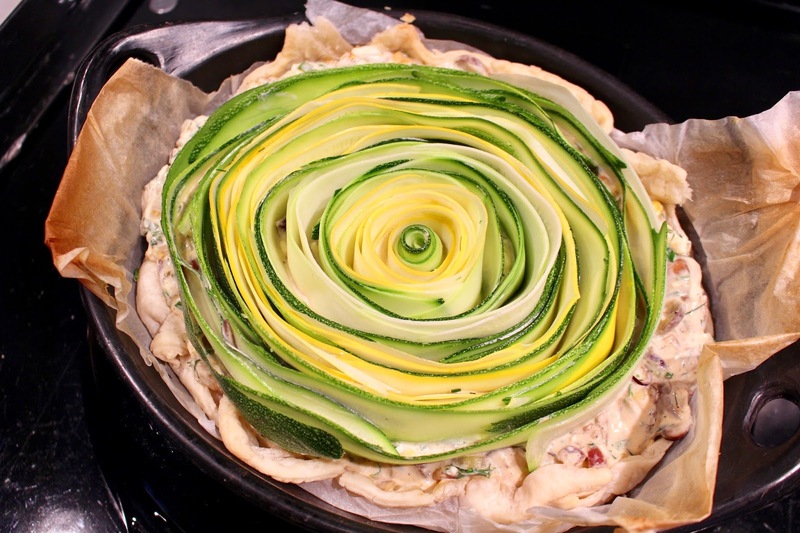 Start by making the zucchini flower (as I like to call it) by making a little tight roll of one zucchini slice and placing it in the middle (press it down a little). 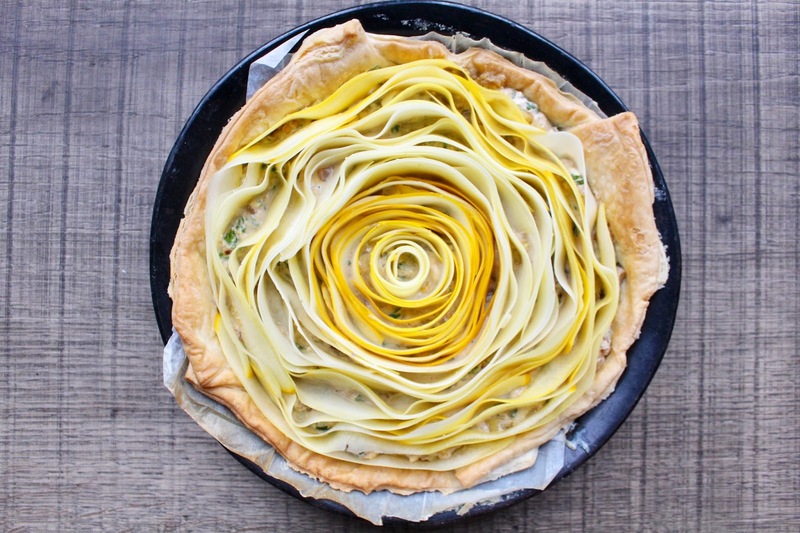 Now all you have to do is wrap around all the other slices until you've used them all. It's a bit of work but it's easier than it looks. 7. Pop the quiche into the oven for about 40 minutes. Slice it with a sharp knife, this is a little tough but in the end it's the taste that matters! 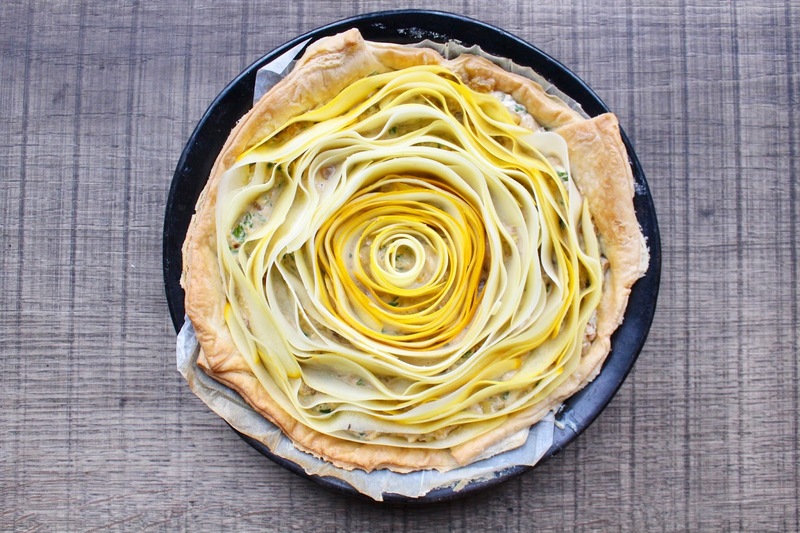 The second time I made this quiche I only used yellow zucchinis which made a really pretty flower! 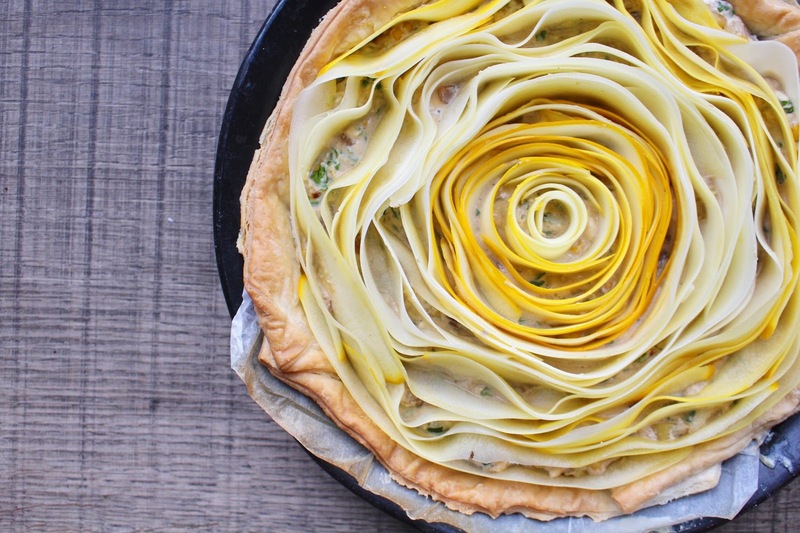 This is very different from regular quiche because it contains more vegetables, fewer eggs and no cream whatsoever. I at a lot of this and still felt very "light" afterward, not that full heavy feeling. I like to serve it with a simple salad, it doesn't need anything else. I'm sure I'll be making this one very often so I'm happy I've noted down the recipe. You should try it too!